LGBT2030 is the future. And it starts here. Welcome to the world's largest LGBT research study. We thank you for your interest and your time. The survey takes only around 15 - 20 minutes to complete. All personal information provided by survey respondents remains confidential. >>>>> Get started: scroll down now to click on the flag, or name, of your country. Agradecemos a você por fazer parte do maior e mais abrangente estudo mundial sobre as necessidades de lésbicas, gays, bissexuais e transexuais (LGBT). Muchas gracias por ser parte del Estudio de Mercado más grande del mundo que investigará las necesidades de lesbianas, gays, bisexuales y trans (LGBT). Vielen Dank für die Teilnahme an der weltweit größten und umfangreichsten Forschungsstudie zu den Bedürfnisse von lesbisch, schwul, bi- und trans (LSBT / LGBT). Merci de participer à la plus importante enquête au monde conçue pour sonder les besoins de personnes lesbiennes, gays, bisexuelles et trans (LGBT). >>>>> Please click on the flag of the country closest to where you live to get started. UPDATE: The LGBT2020 Study is now renamed as the LGBT2030 Study, sharing even more information and data about the lives of LGBT people in more countries, right across the world. 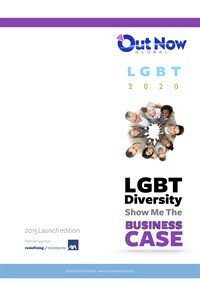 OUT NOW: Download the latest LGBT2030 workplace data report (free) at the world's first .LGBT domain address: http://www.OutNow.LGBT - 'LGBT Diversity: Show Me The Business Case'. During 2014 the LGBT2030 research study broke through total 100,000 respondents and is about to be reported on - and the new 2015 data collection is starting soon. 2014 surveys - click below. Choose what you would like to discover below and help Out Now build the LGBT future. אנו מודים לך על מילוי השאלון והשתתפותך "Out Now" מודה לך על הזמן שהקדשת למילוי שאלון זה ועזרתך בעשיית היסטוריה באמצעות מחקר זה. Desteğiniz için çok teşekkürler. Gratos por fazer parte do maior e mais abrangente estudo mundial existente até hoje sobre as necessidades de lésbicas, gays, bissexuais e transsexuais (LGBT). Vi ringrazio se voi parteciperete alla più grande ricerca nel mondo che analizza le necessità delle persone lesbiche, gay, bisessuali e transgender. We danken je voor je deelname aan het grootste en meest uitgebreide onderzoek dat ooit wereldwijd is georganiseerd naar de wensen en meningen van lesbische vrouwen, homoseksuele mannen, biseksuelen en transgenders (LGBT). Badanie przygotowała firma Out Now - organizacja zarządzana i obsługiwaną przez gejów.